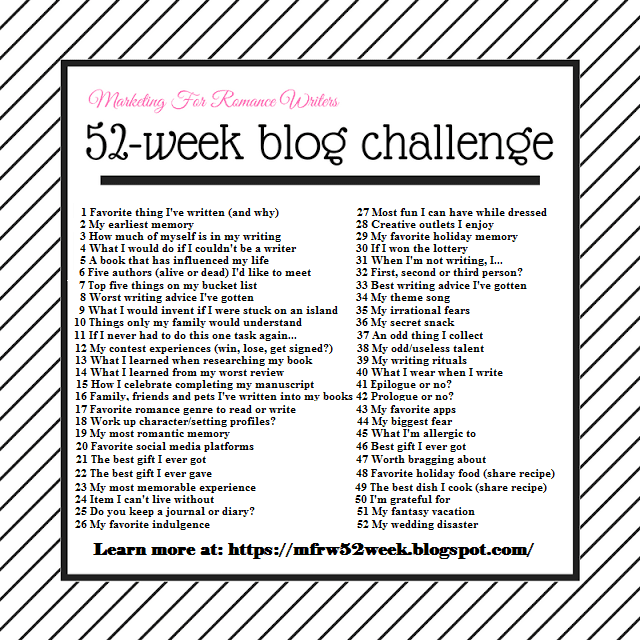 Welcome to the 2018 52-week MFRW blog challenge. this weeks topic is Our Earliest memory. My earliest and fondest memories are of my Grandma and grandpa on my mom’s side. They were known simply as Grandma and Grandpa. occasionally called him grandpa Lebo. I spent as much time as I could with them on their farm. The house was set way back down a winding road. It was a tall white house with two stories. They had indoor plumbing but there was an outhouse on the premises. I thought it hilarious and even used it from time to time. I was so little Grandma had to hold me up. The also had a pump and grandma used it some too. I remember carrying pails of water to the chicken coops and pig pens. Grandpa or one of the uncles would take me out on the tractor. The uncles (three of them) were a bit mischievous and like tormenting me. I was like a little puppy and just kept going back for more. I remember walks with Grandpa along the railroad track across the lane down to the Tressel. I hated the Tressel because once we walked across and one of the beagles fell through so I was always afraid we would fall or another dog would. I guess that was the worse memory. I would spend the summer helping grandma can peaches, pears, and everything from the garden. This is where I get my love of gardening and canning foods. I’d sit on the counter and help or stand in a chair listening to grandma sing hymns. She always sang The Garden and it to this day soothes me. I remember Grandpa putting me in a cart drawn by his horse tiger and we would go down the lane to one of the local stores. We would get a soda for a nickel and a bottle. I always got root beer or cream. I remember a paper doll book that you colored first then cut out. He would get that and scissors and colors for like 25 cents. I thought I was in heaven. We would get a puzzle and after dinner, Grandma and I would work on it. One of my fondest memories was they had a big German shepherd called Duke. He was a guard dog and pretty mean. They always told me to stay away and during the day he was chained to a pole. Grandma had a large wash tub out near the pump that she let me “swim’ during the summer. mom told me the story of coming out and I had duke in the tub with me. They were all scared to death he would hurt me but he wouldn’t let any of them near us. I told them It was ok after I finished his bath Id put him back up and that’s what I did. He let no one near him ut my Grandpa, my uncle and me. One last story. Grandma had a big chicken coop and a large space penned in for them to roam. We always had chicken on Sunday. One day she asked if I wanted dumplings and I said yes. She made the best dumplings. She said we’d go get a hen and fryer. Off to the chicken pen we went. She grabbed a fryer and handed to me and got a hen. I was tickled we were having the chickens to dinner. SHe took the hen gave a snap and said to do the same to the fryer. I was terrified and tossed the chicken screaming run chickens run. That day I learned that she meant FOR dinner, not TO dinner. When I was 8 the farmer my grandpa farmed for sold his property so Grandma and Grandpa moved to Kennett from the country. I miss that farm a lot and have a few stories you will see it, some of these memories and more. Lets go see what memories the other authors have to share! Your tales brought back thoughts of my childhood. Not necessarily at my grandparents, but on our own farm. And I love to “For Dinner” rather than “To Dinner.” Our city kin had their own reactions when learning the halupka was made with the cow they saw the year before. Or that the deer in the field eating our corn was the pot roast that winter. But the fish their father brought home from a river boat trip was ok.
It’s funny what we remember. The weird thing is, I still ate her dumplings and dressing. I even helped pluck a few chickens. I couldn’t go when she wrang their necks or got them ready to pluck. My dad apparently made pets of the chickens and pigeons his parents kept (for chicken dinner and squab, respectively). Even as an adult, he refused to eat chicken. I can see why. I still love it but they didnt take me out for the butchering anymore. This is an outstanding post, Cathy, and brought back good memories of visiting my Grandmother and Grandfather on their farm. That’s funny (now) about the poor chicken. I do imagine that would stick right in your memory. Paper dolls were my favorite! Love those. I’m so glad you have these great memories and shared them with us. Great post! Thanks for sharing such wonderful memories! You have some sweet memories, other than the dog falling through on the bridge. We lived with my grandmother for a lot of years when I was young. I treasure those memories. I’ll love the stories. It sounds like a whole lot of fun.